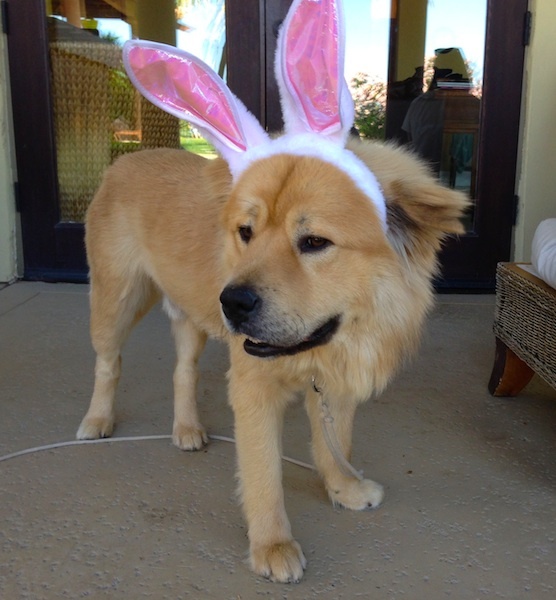 It’s only a few days till Easter and someone is egg-cited. No, it’s not Mr. Chow (he only eats salmon). It’s the lady of this house who pounds six egg whites for breakfast every day like she’s a human Easter basket. I loooove eggs. I really can’t say it enough. I once wrote an entire blog post explaining why two yolks in one egg is nothing to be scared of (because I really thought people other than me contemplate stuff like that on a daily basis). 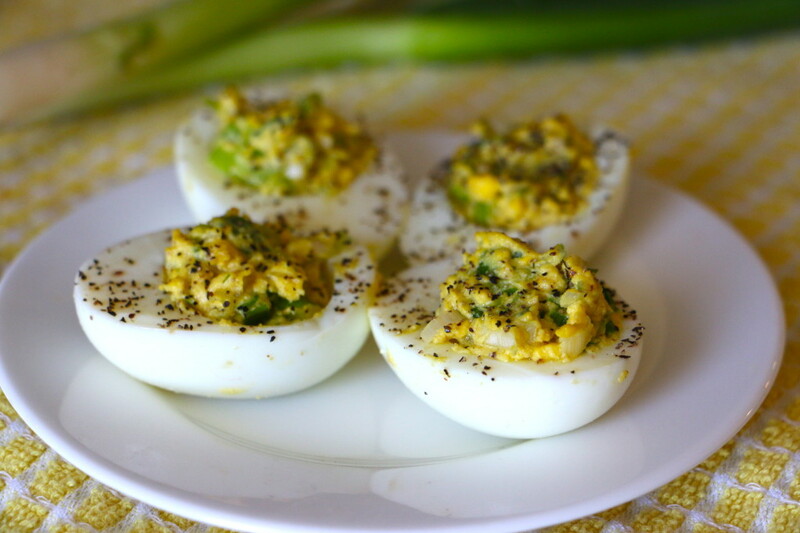 Anywho, my love of eggs began at an early age when my mom used to make the most amazing deviled eggs for the family. My dad was such a big fan and would request them on the regular. So when Gigi and I were thinking of ideas for April’s Easter-inspired Dude Food episode, deviled eggs were the first thing that came to mind. Sadly, most people who have popped a deviled egg know the secret to their sinfully delicious taste: mayonnaise. Ick. 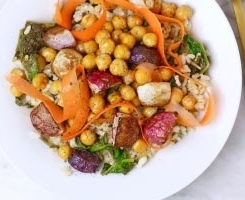 Lucky for you guys, Gigi and I like to think out of the box jar and we came up with three of the most amazingly delicious, creative, and of course healthy recipes you can image. 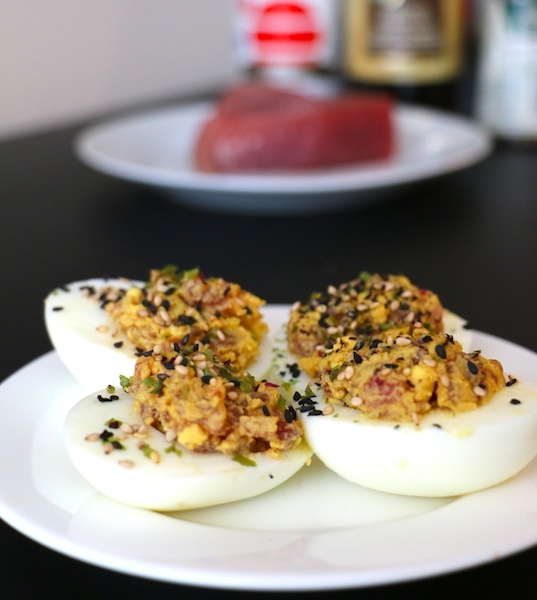 May I present to you: Classic, Mexican, and Spicy Tuna Deviled Eggs. Eat your yolks out regular, mayo-filled eggs. For full directions, please watch the video. There is also an extremely easy tutorial for hard-boiling eggs and how to easily peel them. All three of these were out-of-control egg-ceptional, but my favorite was definitely the Mexican. 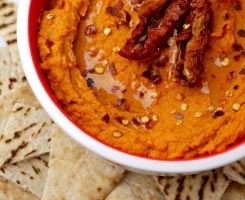 I hope you’ll try these recipes for any Easter brunches or potlucks you may be attending, or that you just whip them up in the comfort of your own home for a massive solo feast. You can do what I did last week and have one version for breakfast, one for lunch, and one for dinner. What I Ate Wednesday just got a whole lot more exciting! Please SUBSCRIBE to our Dude Food YouTube channel for monthly updates of our latest dude-approved recipes. And if you haven’t yet, enter my Knockaround Sunglasses giveaway for a pair of sweet shades. You’ve got until Sunday! 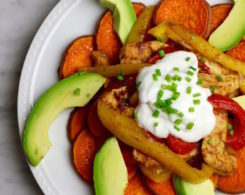 *This post is linked to Waste Not Want Not Wednesday and Real Food Wednesday. Weigh In: Do you like deviled eggs? Which of these are you excited to try? What are your plans for Easter? 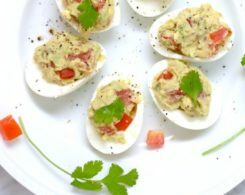 I’m currently experiencing a major deviled egg craving; although, I always put mayo in mine, so I’m excited to see some mayo free versions. They all look delicious! Thanks Holly! I guarantee you won’t even miss the mayo! I did spicy eggs last year. They were with a hot spice and natural yogurt instead of mayonnaise… Very tasty! Oh yeah, yogurt is a great idea for a substitute to mayo too. Thanks for sharing! Okay seriously – maybe I should just buy a few dozen eggs and you should come over tomorrow…. when you’re starving and we can POUND THESE again!!!!!!! Oh wow, I could eat those Mexican eggs all day and all night. Lol. I love eggs too. A little too much sometimes lol! I’m obsessed with this picture of Mr. Chow! I too am a huge fan of deviled eggs and I’m glad someone FINALLY was able to give them a healthy spin. Aw thanks! What’s a holiday post without Mr. Chow dressed in a costume?! I am stealing this recipe. And making it immediately. 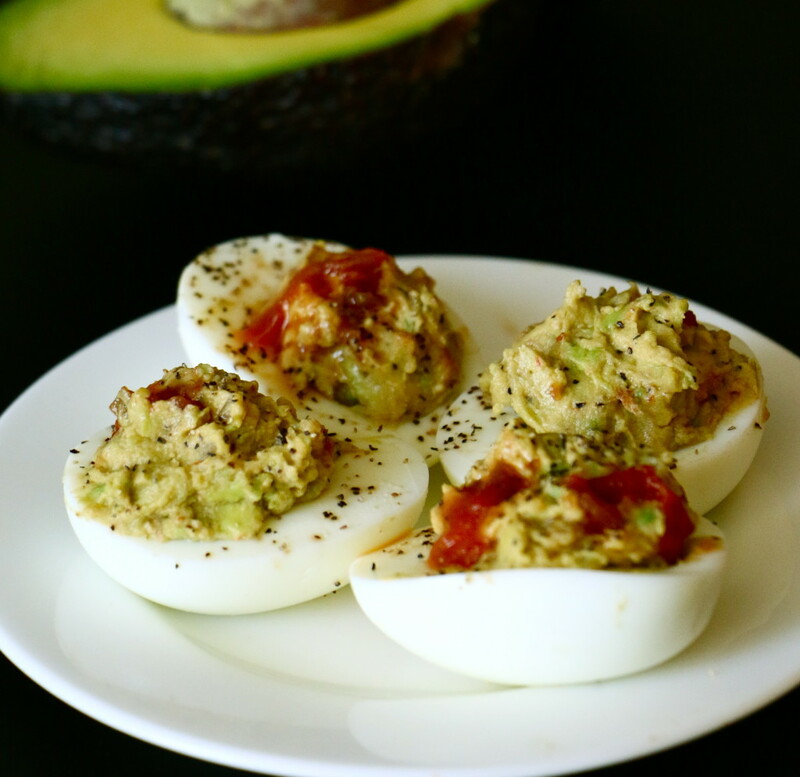 I am a huge fan of deviled eggs, but am always looking for a delicious healthy version of them. 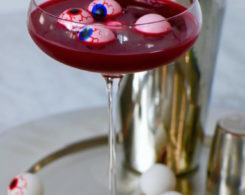 I am looking forward to making these. Thanks Lindsay! Let us know what you think if you end up trying them out!